This fall will mark the five-year anniversary of the Umbrella Movement in Hong Kong, a grassroots political wave that prompted tens of thousands of protesters to take to the streets to request a more democratic selection process for the city’s chief executive. Since the city’s return to Chinese sovereignty in 1997, the pace of political reform has been slow, and the Hong Kong government’s latest legal reform proposal is not quite a move in that direction. Hong Kong’s legislative body opened talks last week on an amendment to the special administrative region’s existing extradition laws, known as the Fugitive Offenders Ordinance and the Mutual Legal Assistance in Criminal Matters Ordinance. The proposal, first put forth earlier this year, would establish an extradition mechanism that would operate on a case-by-case basis with states not covered under existing extradition treaties, including mainland China, Macau, and Taiwan. Current legal provisions allow Hong Kong authorities to surrender fugitives to other jurisdictions with which it has no rendition deals but only with the approval of the legislature. The tabled changes shift this responsibility from the legislative body to the chief executive and would consider crimes punishable by at least a three-years prison sentence. The legislative amendment was proposed in response to a loophole exposed in 2018 when Taiwanese authorities were unable to prosecute a man accused of killing his pregnant girlfriend while on vacation in Taipei before he fled to Hong Kong. While the Hong Kong Security Bureau has stated that crimes pertaining to ethnicity, nationality, political opinion, or religion would not be subject to extradition, the proposal has not exactly been favorably received. It has garnered criticism from democracy advocates, members of the Hong Kong legal community, human rights groups, and officials from the United Kingdom and the United States. More surprisingly, the proposed amendment’s detractors were joined by factions of the Hong Kong and international business community. Thousands protested to voice their opposition to the planned change. The Hong Kong government dropped nine economic charges, including bankruptcy and tax evasion, from the list of extraditable offenses in a bid to appease the business community. This concession, however, can also been seen as potentially stoking already salient political cleavages between the wealthy and other Hong Kongers in a system that is believed to disproportionately favor business elites. Concerns that the extradition law will deteriorate the city’s political freedoms and its status as a regional and international business hub still loom large. This extradition proposal should not be viewed in isolation but as fitting into a broader evolution in the nature of bilateral relations between Beijing and Hong Kong. In the more than 20 years since the U.K. returned Hong Kong to Chinese control, Beijing has slowly been reframing the dynamics between the special administrative region and the mainland. Under Xi Jinping’s leadership, Beijing’s pull in the city appears to be gaining strength. Recall the 2015 disappearances of a handful of Hong Kong booksellers who later resurfaced in the mainland, the abduction of a Chinese tycoon by mainland agents from a Hong Kong hotel in 2017, or the fugitive status of a property magnate in Hong Kong despite his being charged and sentenced to prison in a 2014 land corruption scandal in Macau. All of these examples raise questions about how authorities from other jurisdictions may use the proposed extradition change to make rendition requests for individuals accused of committing crimes elsewhere. The greatest concerns have been voiced in relation to the mainland and its legal record. The mainland’s criminal justice system has been criticized for a lack of fairness at trial, judicial independence, and access to representation, and Chinese authorities have been known to engage in arbitrary detention. 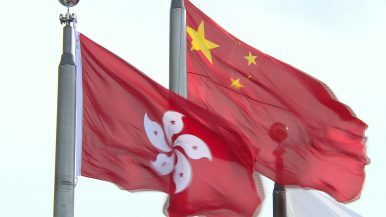 Other recent developments in Hong Kong, such as the convictions of leaders of the Umbrella Movement, the disqualification of six newly elected lawmakers, and proposed bills about the Chinese national anthem, highlight a narrowing space for independence and expressions of disagreement between Hong Kong and the mainland. China has long valued Hong Kong’s economic importance as a gateway to link the mainland to the international economy. But despite overt warnings that its international business reputation is at stake, one might wonder whether the city’s legacy and prized status can stave off challenges to the “one country, two systems” model that governs Hong Kong.